Last Week This Morning: From 50th place to…49th? Josselyn and Emily April 8, 2018 Last Week This Morning! 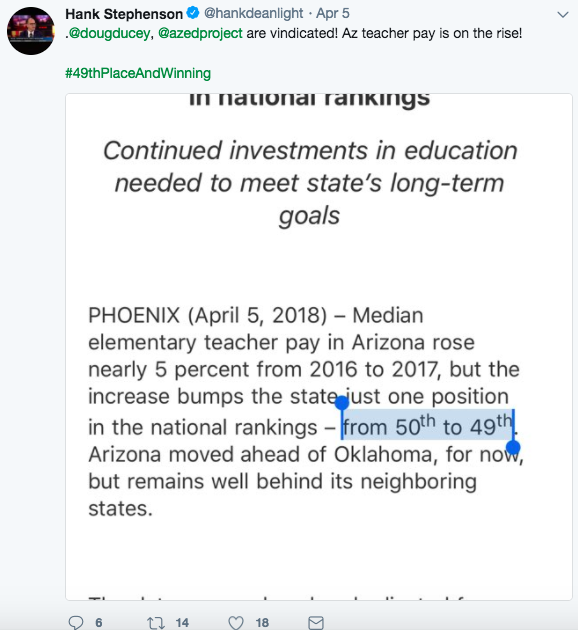 In places like Arizona, GOP state legislators have spent years cutting public services like education while giving huge hand-outs to rich people and corporations. Now, even their own voters are pushing back. Yuma teacher starts commuting to California to work — and doubles his salary. 9 out of 10 Tempe voters wanted more disclosure of dark money spending in city elections. But Gov. Ducey just signed a bill over-ruling them. A lobbyist is caught on tape admitting out loud what we’ve known all along: the goal of Arizona’s voucher program was to funnel money to private schools while minimizing accountability and transparency. This is what a $1.1 billion shortfall in education looks like. 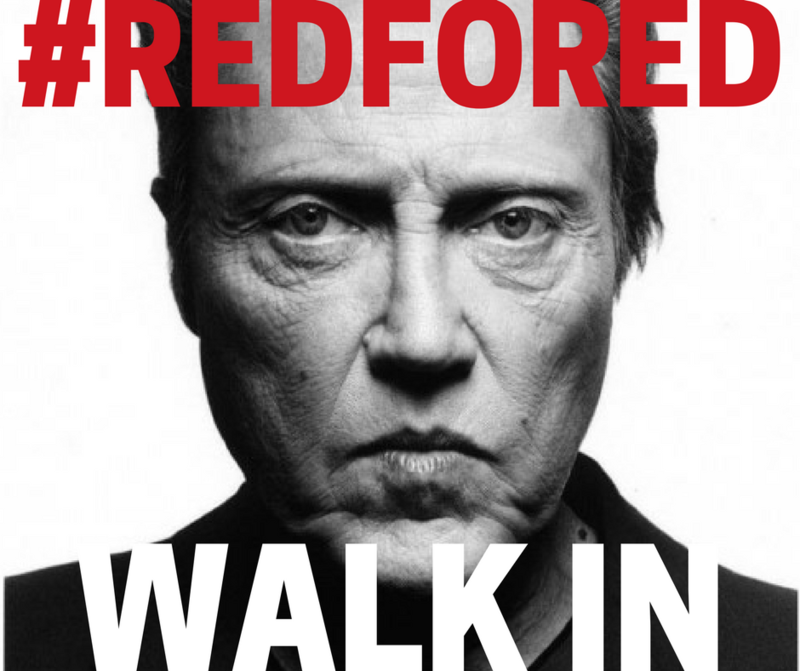 Next week, teachers will be building parent and community support by hosting #RedforEd walk-ins before the start of school! Find out if your local school is participating by searching for the school name and #RedforED walk-in on Facebook, then register here. As teachers across the state protest to demand a living wage, Speaker Mesnard is focused on trying to give a massive tax cut to the 183 Arizonans who make more than $5 million a year. Appalled? Sign our petition to him before we deliver it on Thursday. Our legislators are prioritizing tax cuts for millionaires over funding for our schools — again. Join us Wednesday evening for a townhall discussion of what’s happening and how we can fight back.